Lake Region Electric Cooperative would like to invite all our members to the 70th Annual Meeting of the membership. The meeting will be held April, 27th, the last Saturday of April at the Hulbert High School. 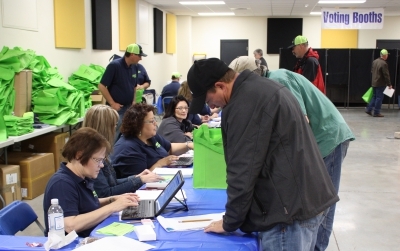 Registration will begin at 8:00 a.m. - 1:00 p.m.
LREC members can meet with the board of trustees and co-op staff and receive an update regarding the Cooperative’s activities during the past year. The meeting also brings the annual election of board members, which represents you, the members. This year, members will be voting on the election of three board positions. The business meeting will start at 1:00 p.m. Members and family in attendance will receive a food coupon for a complimentary meal. Local area fire departments will serve lunch on location from 10:30 a.m. to 1:00 p.m. and accept meal coupons as a fundraiser. Hamid Vahdatipour, the CEO, will present the financial report during the business meeting. All members who register at the annual meeting will be entered into a prize drawing with several door prizes total $5,000 value. We hope to see several of our members at this year’s annual meeting. You can view an event map below. Members in attendance at this year's annual meeting may select one FREE hat or bag. Be sure to register early while supplies last. Gary Cooper and his wife Cheryl have a farm in Shady Grove. He has served as president of the Cherokee County 4-H, president of the Shady Grove Board of Education, and county committee member of the Farmers Home Administration. 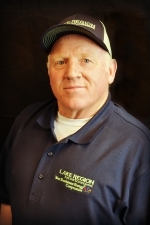 Gary has received his NRECA director certification and serves on the LREC Board of Trustees. Gary owns and operates Hulbert Super Storage. Randall Shankle has served as secretary-treasurer for the past year and is a credentialed LREC trustee. Randall is a life long Hulbert resident and employed by Sunset Valley Steel. Randall owned and operated S&S Communications Specialists from 2000-2016. 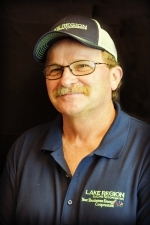 He is the owner of Shankle Cattle Company, and part owner of American Environmental Fabrication and Supply. Randall is a strong supporter of 4-H and FFA and has been an LREC co-op member since 1979. Randall is married to Amy and has 5 children, 2 of which attend Hulbert Public Schools. James Walls is a lifelong resident of Hulbert and a 1980 graduate of Hulbert High School. James has served on the Hulbert Board of Education and on the Advisory Committee at the Indian Capital Technology Center. James has earned his NRECA CCD (Credentialed Cooperative Director) certificate and is an NRECA voting delegate. James and his wife Phyllis have owned and operated Walls Machine Shop for the last 32 years. 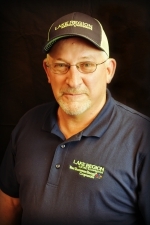 Buddy Spradlin is a resident of Tahlequah and has been a member of Lake Region Electric Cooperative for 27 years. He is a graduate of Tahlequah High School and attended the University of Madison-Wisconsin and graduated as a CLCP (Certified Loss Control Professional). Buddy has three children and five grandchildren. 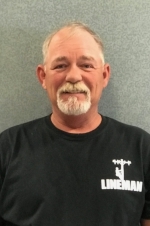 Buddy has worked in the electrical field for 30 years with lineman experience and as a Field Safety Director.